Make December a month to remember by enjoying the sights and sounds of the city. Take a stroll through Piedmont Park in an ugly sweater or decorate festive cookies in the Mercedes-Benz Stadium. We’ve compiled a list of some of the most sought after events happening in Atlanta this week. Go on a treasure hunt at the Scott Antique Markets show that will be coming back in town this December. The indoor event will have a variety of vintage pieces from spoons to vases on sale. Restaurants within the Expo Center include The Agora and Smokey’s BBQ. Time: Dec. 7, 8 p.m.
Five member music group Celtic Thunder will be celebrating 10 years in show business during their tour stop in Atlanta. Expect to hear 27 new songs that will range from love songs to Irish songs. Time: Dec. 8, noon to 4 p.m. 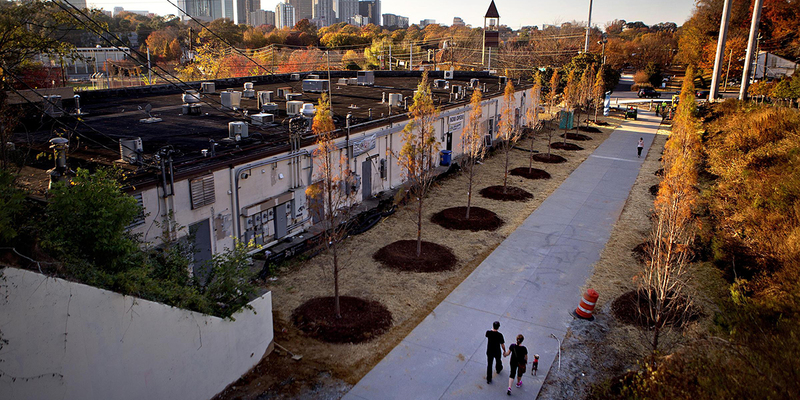 The Atlanta BeltLine’s East Side Trail will be the site of a pub crawl that will sprawl from Inman Park to Piedmont Park. With the purchase of a ticket, attendees will get five free drinks from participating bars and restaurants including Mellow Mushroom, Park Tavern in Piedmont Park and Apres Diem. Time: Dec. 8, 7 p.m.
Take the kids to go see Muppet characters, Kermit the Frog, Fozzie Bear and Miss Piggy, perform in this family-friendly musical. Time: Dec. 8, 9 p.m. to 2 a.m.
Party at this spookily-fun event that will have live DJs and food onsite. Tim Burton, a film director, producer and writer who is known for movies “Beetlejuice” and “Edward Scissorhands,” will be the focus of the bash. During the night, there will also be a charity art show happening that will benefit the National Multiple Sclerosis Society. Time: Dec. 8, 12 to 4 p.m. Break out the ugly sweater for this organized 5K stroll through Piedmont Park. Enjoy smores at this event and admission includes a holiday cocktail or hot chocolate. An ugly sweater competition will be happening during the day and prizes will be awarded for the overall best ugly sweater and for the best ugly sweater couple, pup and family. The Orchestra will be joined by the Morehouse College Glee Club and the Gwinnett Young Singers for this Christmas concert. Carols and hymns will be performed live for the audiences. Time: Dec. 9, 12 to 5 p.m. The Mercedes-Benz Stadium will become transformed this holiday season with an obstacle course, on-field games, cookie decorating and an inflatable snow globe. Attendees will also get to see the Atlanta Falcons and Atlanta United Locker Rooms and they will get a chance to take a holiday picture with Santa Clause, Falcons Cheerleaders and Freddie Falcon.